At AcuraPartsNow.com, you can shop 24 hours a day seven days a week at your convenience. We have thousands of different genuine Acura parts and accessories in stock at wholesale prices. We specialize in genuine Parts and Accessories for your Acura TL, Acura TSX, Acura MDX, Acura RDX, Acura ZDX, Acura RL, Acura RSX, Acura Integra, Acura VIgor, Acura Legend and Acura NSX. Your order will be processed and shipped as quickly as possible by our team of Acura parts experts. 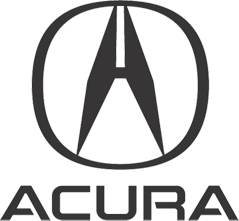 Automotive giant Honda created the first Japanese luxury car brand, Acura, thirty years ago. Since then, Acura has been redefining what being a luxury automotive brand means by focusing on precision, creativity, and innovation. From the original Legend to the TSX to the MDX, Acura has been producing luxury vehicles that make a statement. Investing in Acura means investing in luxury. To keep your Acura running smoothly, use only genuine OEM Acura parts and accessories because a vehicle is only as good as the parts that make it.